Home Entertainment Systems: Let us entertain you! Today’s homes are not only about living – they are about having fun and filling your home with the latest and greatest audio and video systems our high-tech world offers. The choices and options available in today’s home entertainment products are infinite, but our years of experience can simplify and guide you to choose only the products you want and need. Just imagine how simple life would be if a single touch starts your TV and surround-sound audio, ignites the fireplace, closes the shades and drapes…. The possibilities are endless, the user interface so simple to use. High-performance entertainment is more than buying high-end products. It’s only achieved when systems integrate seamlessly. Let Lifetronic Systems integrate your life. 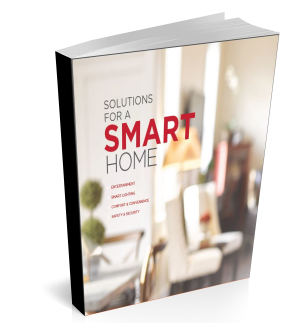 Your home will not only be smarter. It will be so much more fun. Local Service Areas: Lifetronic Systems is located in Westport, CT and services all of Fairfield County, CT, and Westchester County, NY, including: Westport, Wilton, Weston, Redding, Easton, Fairfield, New Canaan, Darien, Greenwich and beyond. We also travel beyond Connecticut and New York upon request.